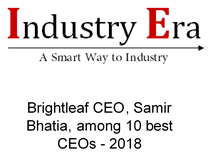 Brightleaf provides a technology powered service to extract information using our own proprietary semantic intelligence/natural language processing technology, our own team of lawyers to check the output, and our own Six-Sigma process to deliver end-to-end, highly accurate, extracted data. 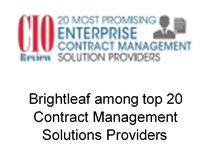 Your legacy contractual documents along with this extracted meta-data can be migrated into a Contract Lifecycle Management (CLM) system for tracking and reporting. This greatly enhances the value of your investment in the system. 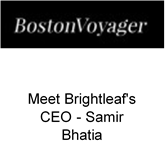 The data can be virtually anything, and it is customized for each of your type of contracts. All meta-data, terms and conditions, legal provisions, and even all obligations (which are usually scattered throughout your contracts) are extracted by our software. 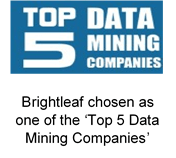 Our team of lawyers check each-and-every extracted data-point against the original documents using a stringent Six-Sigma quality process, which delivers highly accurate results (download Strategy Brief). The process of migration starts either from an old contract management system or a repository; or from scratch i.e. from paper documents to a new advanced CLM. Click here to get more insight into the various benefits derived from migration. The ability to manage your contracts through a process such as this will allow you to leverage the knowledge in your existing contracts, report on the extracted data, even recover hidden revenue (e.g. by policing penalty clauses in your supplier agreements) and comply with current and upcoming regulations. 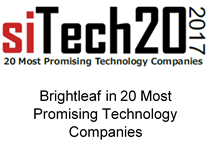 Brightleaf has been continuously recognized for its commitment and excellence. 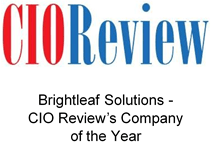 Click here to know more about the awards and recognition. Brightleaf’s semantic intelligence engine is a proprietary software platform for analyzing and abstracting any and all commercial terms, legal provisions, and obligations from any legal document. We overcome the problems with traditional, software-based abstraction by combining a powerful natural language processing engine with a team of legal and quality control experts. This “technology enabled service” approach delivers abstracted data at unheard-of levels of quality: up to 99.99966% accuracy. Automated meta-data extraction - Use AI software or outsource?